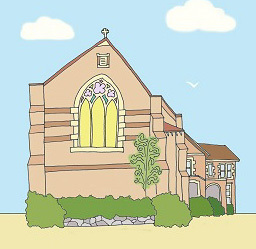 You are invited to our whole parish Vision Sunday service, hosted this year at St Alban’s. A day conference for CCIW leaders to prepare our hearts and minds for the task God has ahead of us in 2019. Open to all in formal leadership, informal leadership or members of church who are interested in stepping up in leadership this year. Enjoy an evening of floristry making your own wreath and reflecting on the meaning of Advent. We provide all the materials, you just need to bring your creativity! Christmas Carols on the Lawn is for the local Five Dock community. This year it’s on Saturday 8th December. We’d love to see as many of our neighbours and other Five Dock locals as possible. Meet the artist Madi Rose and enjoy an evening of watercolour painting. $10 covers materials, some tuition and supper. Women of Five Dock are invited to build your own gingerbread house! All welcome, whether you are an experienced candy-architect or you want to try something new and delicious. $30 for a gingerbread house kit. Bring your own lollies. RSVP essential by Nov 12, or Oct 31 for a gluten free kit. Christmas Basecamp: Rego now open! Our primary school holiday club is back! We’re getting ready to launch into the summer holidays together and into the year 3018 as we check out what Christmas looks like way into the future! Each year overwhelming numbers of people are forced to leave their homes as a result of conflict, persecution, violence, and human rights violations. At the same time the debates about immigration reform are nuanced and complex. How do we respond to such a need? And what difference, if any, should faith play? Join the conversation at Wine, Cheese, and a Conversation about Refugees and God, hosted by St John’s Ashfield and St Alban’s Five Dock. Mental illness has a way of reaching and touching just about everyone. Why does God allow it? What resources does God offer? Is there be a relationship between faith and mental health? Join the conversation at Wine, Cheese, and a Conversation about Mental Health and God, hosted by St John’s Ashfield and St Alban’s Five Dock.